Over one year after Ho Chi Minh City set out to create 15 sample streets that meet urban civilization standards at the municipal level, none of these streets have met all the norms. The norms include environmental hygiene, traffic safety and public order. Le Loi, Le Duan, Nguyen Hue, Dong Khoi and Nguyen Dinh Chieu Streets are now rather clean and civilized. Luu Trung Hoa, vice chairman of the District 1 People’s Committee, said following orders from the HCMC People’s Committee and the Transport Department on building green space on all these streets, his committee has worked with Park and Tree Company to design and improve pavements and to grow plants that are appropriate for each street. The district spent about VND1 trillion on growing trees and improving pavements last year, he added. District 3 also spent about VND4.3 billion on building nine green space systems. Authorities of localities where these 15 streets run have disseminated information that calls upon residents to practice urban civilization, and strictly penalized violations relating to traffic safety and order and sidewalk encroachment. However, at some localities, people’s awareness of urban civilization is still poor, preventing these streets from becoming civilized. 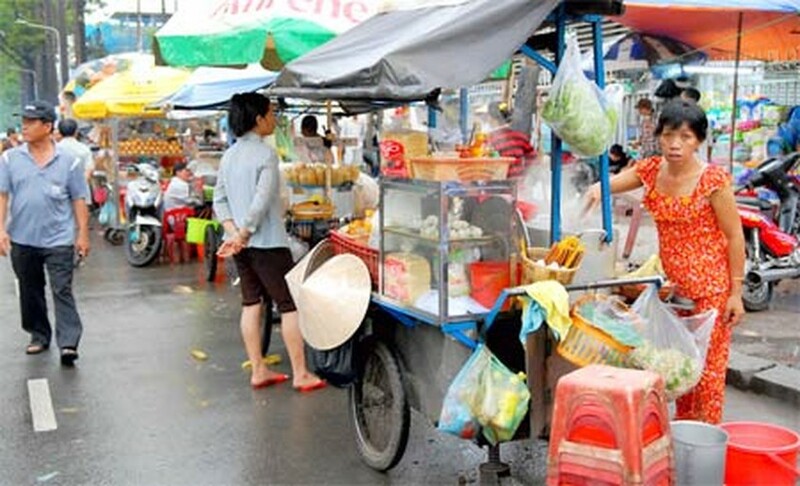 For instance, cars still park on Vo Van Tan Street, roadbeds and pavements are still encroached upon by peddlers’ pushcarts on Nguyen Chi Thanh, Tran Hung Dao and Nguyen Trai Streets. Residents living along the streets have yet to put their garbage in designated locations at the proper time, most of them have placed garbage bags in front of their houses or on the pavement or at foot of trees, despite dustbins being set up across the street. 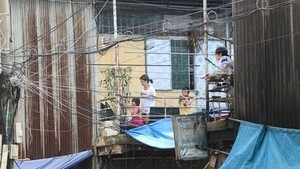 Tran Tien Nhanh, head of Culture and Information Department and deputy head of the District 3’s Steering Board for Urban Civilization, said many residents think only about themselves and lack respect for the public and regulations, so they have encroached pavements for their own businesses. To improve residents’ awareness, time is needed, he added. Agreeing with Mr. Nhanh, Huynh Thi Thao, vice chairwoman of the District 5 People’s Committee, said just over a year is not enough time to create streets that meet urban civilization standards. At present, most peddlers are immigrant residents, making it very difficult to manage their activity. For peddlers who are permanent residents, local administrations have tried to help them find new jobs, but they are old and lack professional skills, so they need time to adapt to new jobs, she added.